ST. GEORGE — A police chase on Interstate 70 near Richfield Friday morning reached speeds of more than 110 mph before ending in a rollover and foot chase before the speeding driver was apprehended. 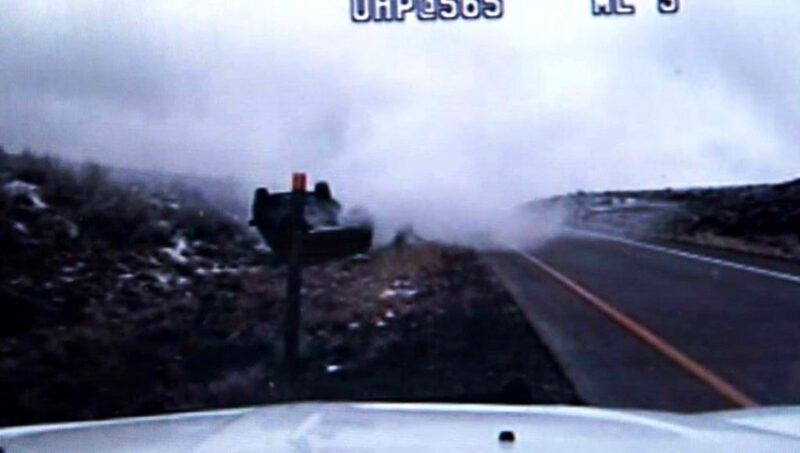 At 8:45 a.m., a Utah Highway Patrol trooper was heading west on Interstate 70 between Salina and Richfield when a Chevrolet Impala passed the officer going 90 mph in an 80 mph zone, UHP Trooper Lawrence Hopper said. 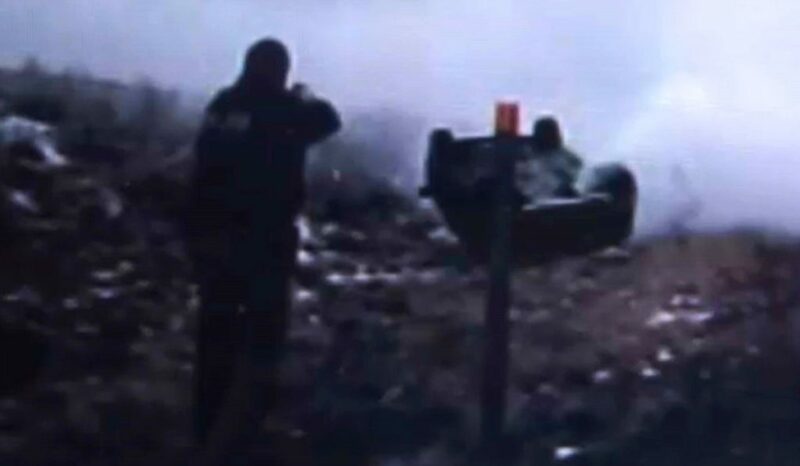 The trooper got behind the Impala and began to initiate a stop on the car, but instead of pulling over, the driver increased his speed and continued down the Interstate. For the next 20 miles the trooper pursued the vehicle, approaching speeds of more than 110 mph, Hopper said. Two men and three women, all from the Denver area, were inside. As the car approached the Elsinor exit, a Sevier County Sheriff’s deputy deployed road spikes on the off-ramp. The driver swerved to avoid the spike strips but lost control and rolled the vehicle instead. The driver, a 22-year-old Colorado man, jumped from the vehicle immediately after the crash and attempted to flee on foot but was quickly apprehended. After obtaining medical clearance, the man was booked into the Sanpete County Jail and faces multiple charges, Hopper said, including evading police. The four occupants traveling with the driver, one man and three women, also from Colorado, sustained minor injuries during the wreck but were able to exit the vehicle on their own, the trooper said. Well heck this ain’t Oklahoma ya know !